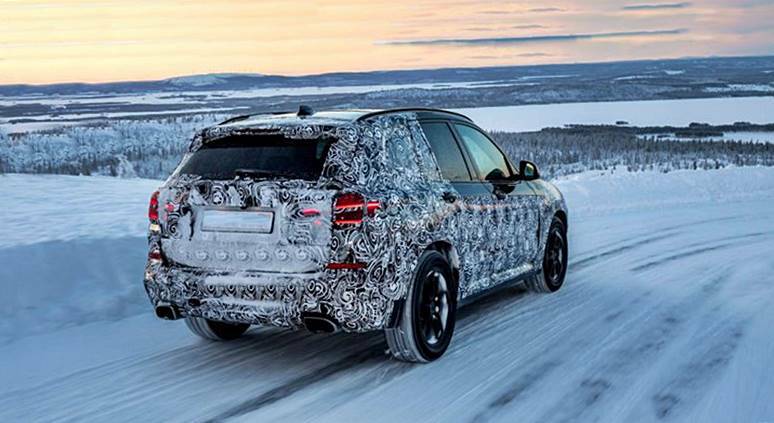 2018 BMW X3 teased during winter testing - BMW has actually previewed its next-generation X3 SUV in a series of images, revealing a heavily-disguised model wrecking the white powder in North Sweden. With the existing design now in its seventh year, the brand-new X3 is anticipated to be exposed at some point later on this year-- though BMW is staying tight-lipped regarding when its brand new crossover will make its launching. The business states the icy surface areas of frozen lakes and remote roadways of the area enable it to tweak stability and traction control systems, in addition to the xDrive four-wheel drive system. Furthermore, BMW states cold-weather testing adds to the advancement of the automobile as an entire, thinking about the direct exposure to severe weather. 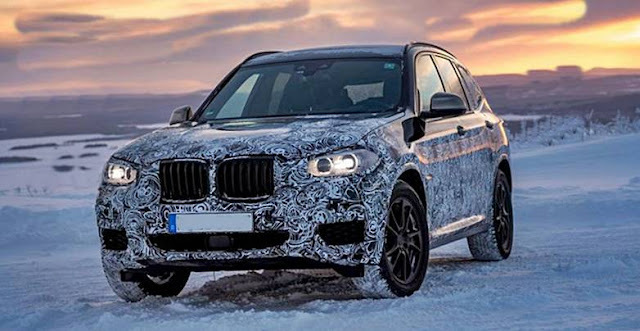 Regardless of the swirly black-and-white camouflage, the X3 appears like it will draw a great deal of motivation design-wise from the smaller sized X1 and the bigger X5. In advance the big 'double kidney' grille and headlights look like the X5-- which is likewise set to be upgraded quickly-- while the tail-lights look really just like the X1 and brand-new 5 Series Touring. Pictures of the interior are yet to surface area, however it's most likely the X3 will take styling hints from more recent designs like the X1, 5 Series and 7 Series, in addition to using the business's most current infotainment and chauffeur help systems. Under the bonnet will likely be a series of turbocharged gas and diesel motor, in 4-, 6-, and perhaps three-cylinder setups. It's likewise thought a high-performance M design will sign up with the X3 variety for the very first time, possibly encouraged by the 317kW/550Nm twin-turbo 3.0-litre straight 6 from the M3 and M4. 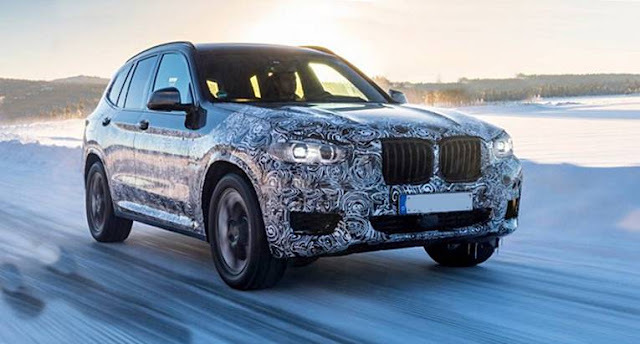 For more information of the brand-new X3, we'll simply need to wait till the brand-new SUV is exposed-- which is most likely to take place later on this year.